Our abroad VISA service for Spouse VISA, Dependent VISA, Family VISA and Child VISA comes under the category of Dependent VISA. Dependent VISA application is simple and success depends on the genuine intent and proper documentation. Acads Visa guides you through proper information, guidelines and assistance. Acads Visa assists you and ensure that you meet all the Visa requirements. 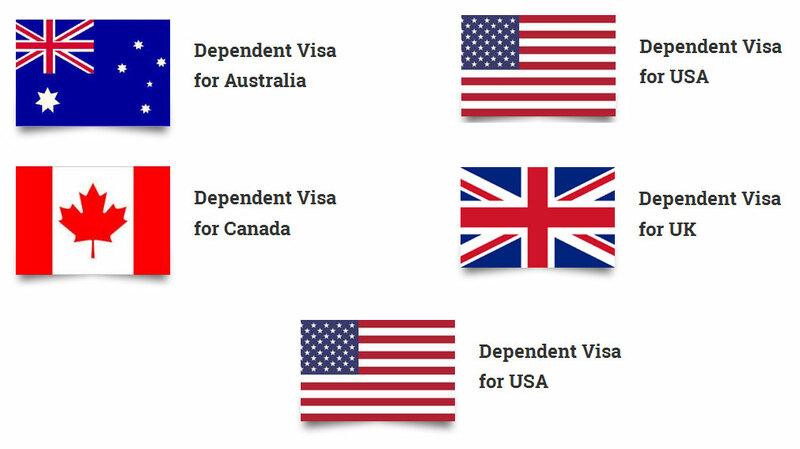 We Deal for UK (Tier 4 Dependent), USA (H4B and F2), AUSTRALIA & CANADA (Student & Immigration) Dependent Visa Etc..